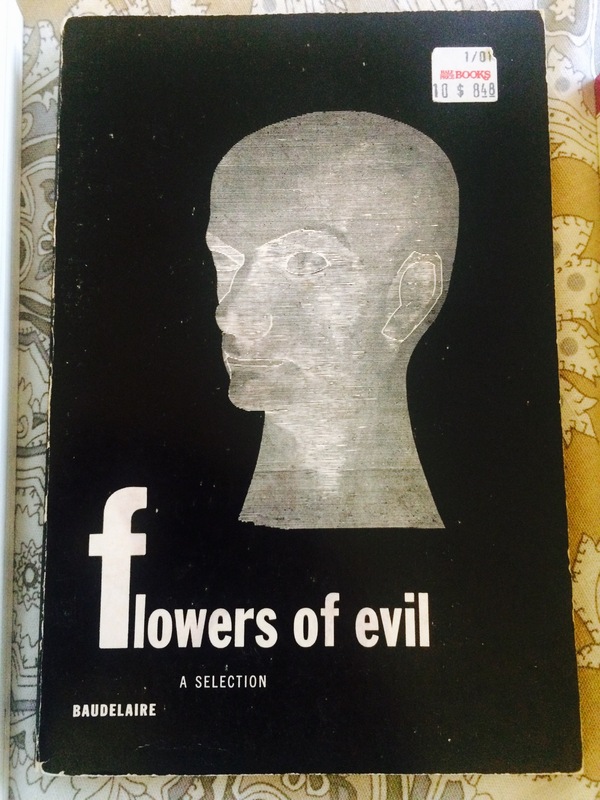 Charles Baudelaire is acknowledged as the greatest French poet of the 19th century, and Flowers of Evil (Les Fleurs du Mal) is his great work. It’s regrettable that I can’t read French, but one thing that can provide lasting amusement is seeking out different translations for comparison. 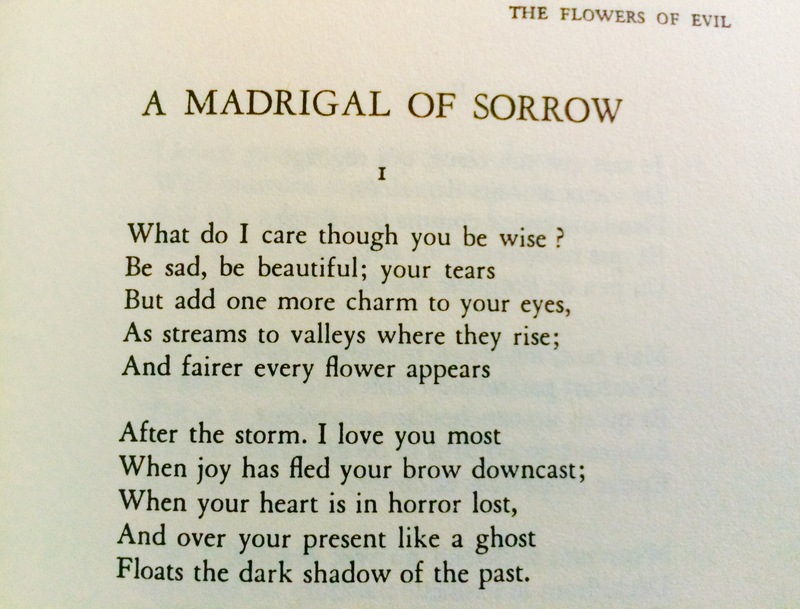 Here are two stanzas from A Madigral of Sorrow. This translation is by F.P. Sturm, and appears in the New Directions edition pictured below. This entry was posted in Baudelaire. Bookmark the permalink.